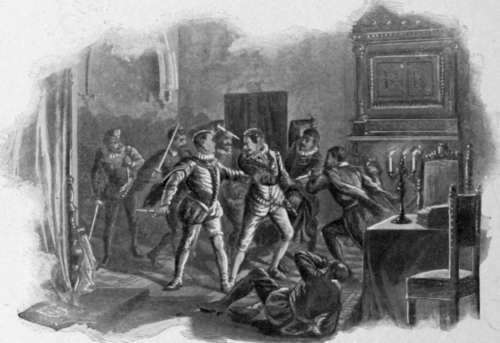 The Murder Of The Duke Of Guise. 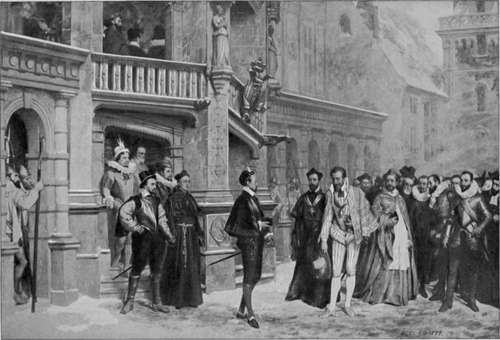 The Meeting Of The King And The Duke Of Guise At Blois. It was a frosty morning, and a fire was blazing on the hearth. Complaining of the cold, the Duke of Guise leaned against the chimney-piece, and warmed his hands. 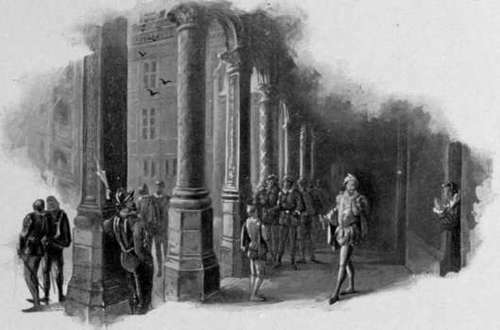 Meanwhile in an adjoining room the King was putting daggers into the hands of forty-five assassins and ordering them to do his evil will. Presently a messenger summoned the duke to the royal presence. Guise rose, bowed to the company with his accustomed grace, and passed into the antechamber of the King. Hardly had the door closed behind him, when his murderers fell upon him from behind the tapestry. He had just time to cry: "A moi, mes amis!" - but it was too late for friends to come to him. The door was locked; the murderers had him to themselves. He fought with his usual desperate courage, but he was only one against forty-five, and soon fell pierced with a hundred wounds. During the progress of this murder prayers were being offered up for its success in the adjoining chapel, and two hours later, the King, emerging from his apartment, looked on the prostrate body of his enemy, and spurning it with his foot remarked with cruel composure: "I did not think he was so tall." 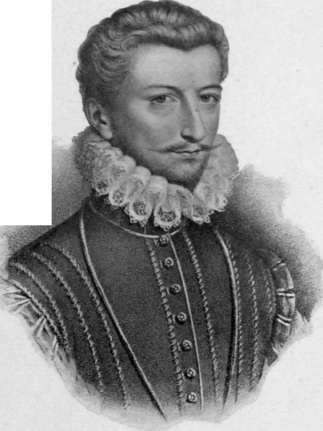 On the following day, the brother of the murdered man was likewise slain here by assassins; the two bodies being subsequently burned, and their ashes scattered on the surface of the Loire, lest any of their party should preserve them as a relic. Yet speedy retribution followed these atrocious deeds. Only twelve days after these assassinations, the King's mother, Catharine de' Medici, the instigator of the crime, died beneath this roof in the ravings of delirium; and before eight months had passed, the weak and cruel sovereign himself perished at the hand of an assassin. 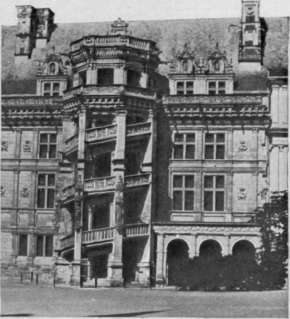 Making Blois our headquarters for a little excursion through Touraine, we found within easy distance of each other, several other castles of French royalty scarcely less interesting historically, and even more imposing architecturally, than the chateau which saw the murder of the Guises. 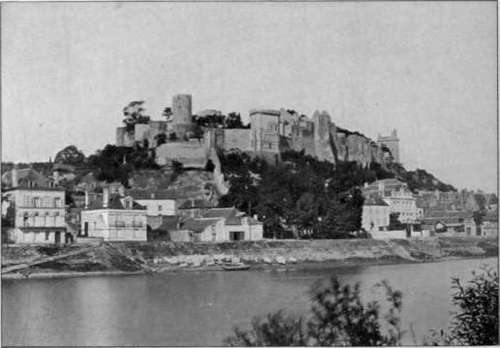 Amboise, where rest the remains of Leonardo da Vinci, and which received fair Mary Stuart as the youthful bride of Francis II; Chinon, associated with the early scenes in the career of Joan of Arc, as she rode out across its drawbridge, clad in full armor, with her enthusiastic followers behind her, to conquer England's hitherto victorious army; Plessis, the haunt of the cowardly tyrant, Louis XI, so well described by Scott in Quentin Durward; Fontevrault, where Richard the Lion-hearted breathed his last; Chenonceaux, the charming residence of Diana of Poitiers; Azay-le-Rideau, one of the most elegant specimens of sixteenth-century architecture in France; and Chambord with its marvelous exterior, - all these possess for the thoughtful tourist a fascination which harmonizes well with that charming country, where, Balzac declared, "In spring love flies at large beneath the open sky," and "In autumn the air is full of memories of those who are no more." Time fails us to examine all these sculptured monuments of old French history, but two of them at least cannot be passed with a mere mention of their names. 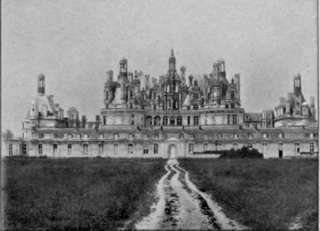 One of these, - the Castle of Chambord - is so near Blois that we drove to it easily in two hours, crossing the Loire by a handsome bridge of stone, and winding thence for twelve miles through innumerable vineyards. The chateau itself, which might be called the Versailles of Touraine, is one of the most extraordinary edifices I have ever seen.